The company expects to open more than 20 new international stores in 2019, at least half of those will be in Asia. One wonders where Nike's cool factor will come from. Under Armour rallied sharply recently and it is now only about $2 or so away from what looks like a major upside breakout. Nike defied logic with its latest results. Perhaps shoes and athletic apparel are the anti-tariff trade. What do we really want to happen if we want to be constructive toward stocks? 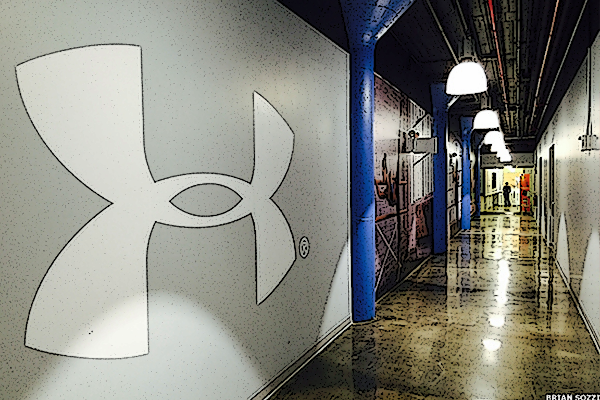 Under Armour's high valuation and poor technicals make this a dangerous play. The Dow Closed trading at a new record high, the first time it has set a new record since January 26. I would ignore it for now and revisit it after the controversy cools. Facebook's second quarter earnings were a mess. But here is why one Wall Street analyst remains bullish. Under Armour continues to be bullish on Golden State Warriors star Stephen Curry even with Lebron James moving to the L.A. Lakers. The athletic apparel maker is up after posting its latest results and its charts indicate its shares should continue to rally. After continual disappointments, seeing Under Armour manage a breakeven quarter was a big positive. The upside move in UAA is playing out nicely.